Some time ago, we showed you a new way to camp, with the Overland Rooftop Tent. However, why stop at cars, why not bikes as well? 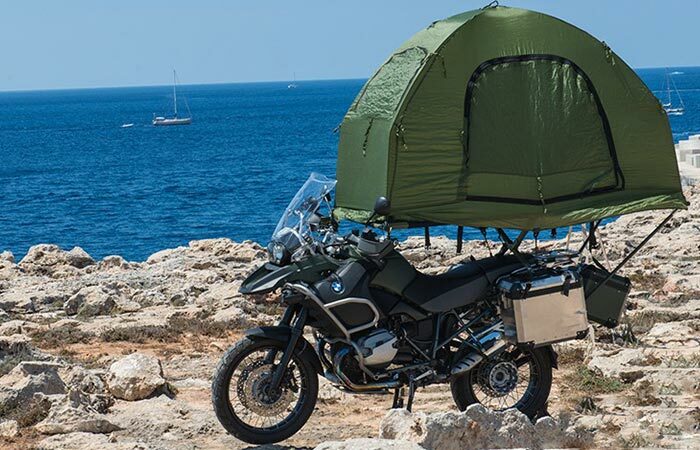 Well, that’s the idea behind the Mobed Motorcycle Mounted Tent. For some of us, traveling on a motorcycle is preferable to traveling with a car. There’s just something about a motorbike that is difficult to replace. Now, with the Mobed, you not only have the ability to travel but also sleep wherever you want. The Mobed is not just a tent though, it’s a bed as well. The Mobed can be used on any terrain, as long as the motorcycle has a solid surface to stand on. 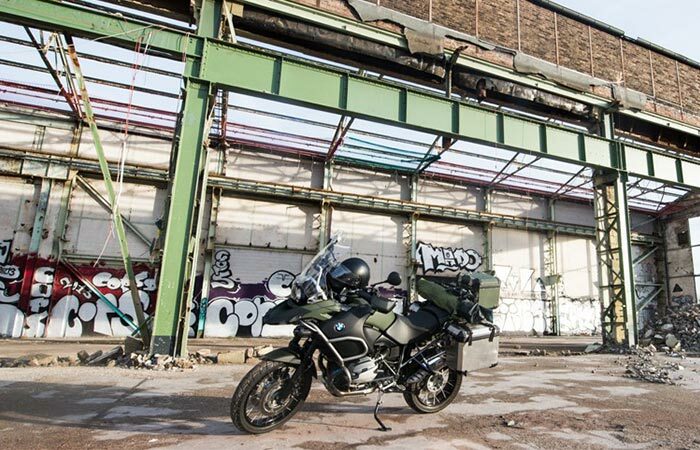 At the moment, the Mobed is only compatible with the BMW R1200GS Adventure series from 2006 to 2013 and the BMW R1200GS series from 2004 to 2012. However, they are busy developing it for other bikes as well. Nonetheless, it does give you the ability to sleep wherever you are, if you own a BMW R1200GS. When you’re ready to go, simply pack it up and you’re set! The Mobed is stable enough to not only sleep in parking lots and the like, but also on rough terrain. As long as the bike has a solid surface to stand on, you should be fine. All that it needs is a center stand with an extension or additionally fixed straps and you are set. By sleeping completely off of the ground, you don’t have to worry about animals or insects getting inside your tent either.